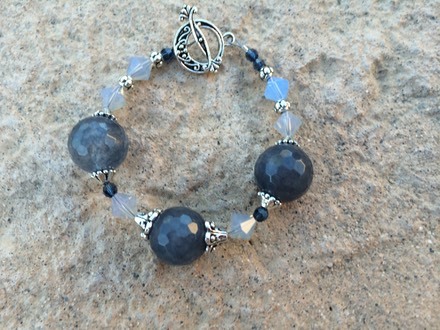 Gray Agate faceted round gemstones go beautifully with the opal/gray Swarovksi crystals, as well as the tiny blue swarovski crystals! 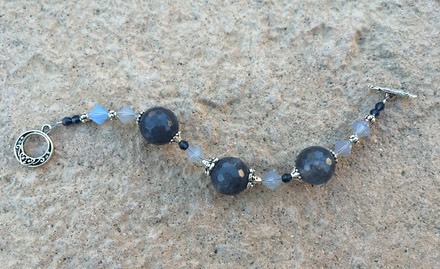 Silver plated toggle clasp. 7" long.